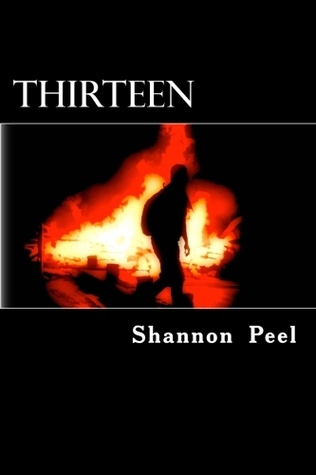 Feedback from a 92 year old great grandmother: My comment on it, is that Shannon did a wonderful job of writing Thirteen. It was well written, and the description of events was well thought out. It was exciting, scary at times, and sad as well. It's a book worth reading. -- OK so it was my 92 year old grandmother...Amazon. THIRTEEN is a mother / son story and their power struggle as he grows up. It's a coming of age story during a time in every boys life where he is no longer a boy and not yet a man. Thirteen is a tough age, lots of instant freedoms and desires to find oneself. It is also a geo political story about an invasion of Canada's Westcoast by a foreign power. Jack and his mom are caught in the global politics of an international struggle for power. When my son was 8 years old I met a lost boy of South Sudan when I was emceeing a charity event and he was the speaker. His story about being an 8 year old boy walking across Sudan with a group of boys on their own to find safety in Ethiopia was heart wrenching. Starving, no water, bombs dropping, and wild animals attacking in the night. At 8 years old this boy was one of the oldest responsible for caring for younger boys, finding food, water, carrying for them when they were sick and burying them when they died. This chance meeting inspired me to write a story about children in war so others would understand their plight, however, this man's story was not mine to write and every time I tried to write about a war in Africa it jumped the reader out of the empathy I hoped to inspire. It became other - their problem, oh yeah well that's Africa, it's sad but has little to do with me. One day when my son was 13 the idea to bring the war to Canada came to me. As I was also battling a war with this thing that looked and sounded like my son but did not behave like him I brought this struggle into the story as well. I searched out mother / son stories and didn't find any. There is a lot symbolism in fire. It destroys, cleanses, and keeps you warm. The story itself has fire in it and I wanted something that portrayed something dark, dangerous, and anarchy. So I Googled photos of riots. I found this photo on istock and purchased it, ran it through a couple digital photo filters and had the image. I had a couple of other cover ideas as well and put them all on my Facebook page to get some feedback. This one was hands down the favourite for inspiring interest in the story. Interesting question, especially since I have a screenwriter begging to convert it into a movie. Jack - This one is hard, cause I don't really know. Teen actors grow so fast and change so much. Every time I think of Jack I think of my son. It's the first of a series. I've already started Book 2 and it's going to be a bit James Bond, a bit prison break, with a huge surprise secret reveal. I like Upper Middle Grade action / adventure because you can explore different relationships, not just romantic ones. Kids in this age group aren't ready for relationships yet but they want to read the YA novels because they are more challenging than the usual upper middle grade stuff. I wanted to write something for boys that would grab their attention and imaginations quickly. Something fast paced with little descriptive narrative to keep the interest of those boys who find reading challenging. I don't believe kids in this age group need to be talked down to as much as they are in books. They are intelligent young people who can have interesting conversations with adults. I love stories. I always wanted to write. 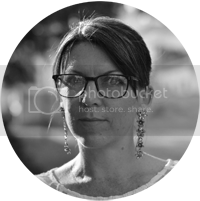 I was jealous of authors and wanted to be one, however I never had the confidence. Support from family is important when you are thinking about a career in the arts and I didn't have that. My parents wanted me to have a real job and writing wasn't a real job. I went on a ride along with a journalist and since I didn't ask a lot of questions he said I wouldn't make it as a journalist and I believed him. I didn't realize that I ask questions in my own way, I'm more observant than inquisitive, still I have a burning need to understand the why and how. I never believed I could be a writer. I envied writers and wanted to be one, just didn't believe I had the talent, until one day I decided to try. I look back at articles I wrote for local newsletters, blog entries, and even research papers and wonder how I thought I wasn't good enough. I always loved the names Jack and Sydney. They were both on the lists for my kids but weren't chosen in the end. Nick is my best friend's name. She has been my biggest cheerleader and support throughout the process. Yes I'm not very good at naming anything. I still want a better name for the series than THIRTEEN and I have no idea what Book 2 is going to be called, besides Book 2. Jane Eyre. I love her independence and men like Rothschild. I am a single full time mother and I have a full time paying gig. I write in coffee shops, on my couch, wherever I can. If I could chose to take some time just to write I'd go to my family cabin and write there over looking the lake in the spring or fall when no one was around and the wifi was shut off. Inkheart. I know the franchise didn't go anywhere but I thought it was true to the story and well done. My children and I shared the book and the movie, it was our favourite. That's hard. I don't really have 2 favourites. There are books that I love but I never read anything else by the author. There are series that I get right into and then get board of when the formula remains the same and the stories become predictable. Some character's I fall in love with, while others I admire or loath. No two authors have consistently wowed me with everything they've written. I am one quarter Romanian and 3/4 the British Isles. All my grandparents were born in Canada and 1/2 my great grandparents as well, so I don't have any ties to culture beyond Canada. Lauren Graham - I am definitely a Gilmore Type mom. I live on Canada's Westcoast near the US / Canada border. It doesn't snow very often here, our winters are rainy more than snowy. I prefer snow and miss Albertan weathers of -40 with sunny skies. To continue with Jack's story until it's done. Then I have another book on the back burner, a bit more autobiographical in nature about finding oneself after divorce, learning how to date in the 21st Century after 20 years of marriage, and figuring out who she is beyond mother and wife. The main thing on my bucket list is to move to Paris France for 6 months and write in small cafes and integrate into the culture. This is a lifelong dream and one I hope to do one day after the kids are grown and gone. None. Myths and fairytales have their place in the world of story telling but they are fantasy with no basis in reality. They have been told over and over in so many different ways that they've lost their surprise, their uniqueness, their power. I wanted to be a single career woman... I didn't do that. I was a career woman for awhile, but then I made other decisions and ended up with two amazing children I changed my life for. I would not change it. I do wonder what would have happened if I'd stayed in the financial world and worked my way up a corporate ladder. I like to think I would have been lonely. I would have been a very different person.